Today I am joining in on an extra special blog hop called Heart Kids Super Boss Day Blog Hop. The aim is that today Friday 15th June you dress as a superhero for a day to raise funds to support kids with congenital/childhood heart disease. 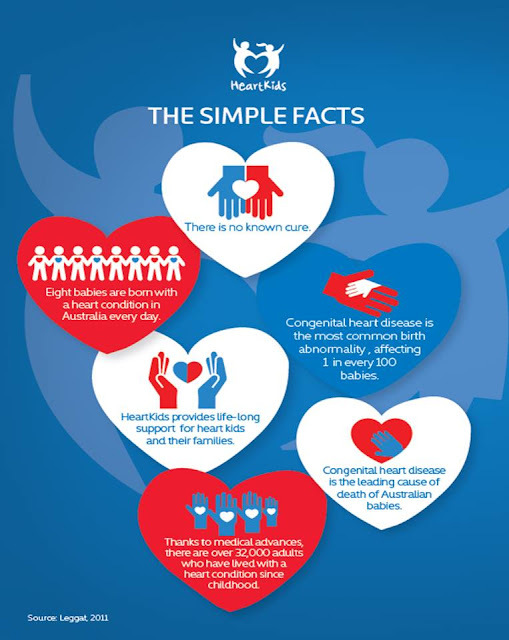 The chart below highlights the simple facts about heart kids and heart disease. 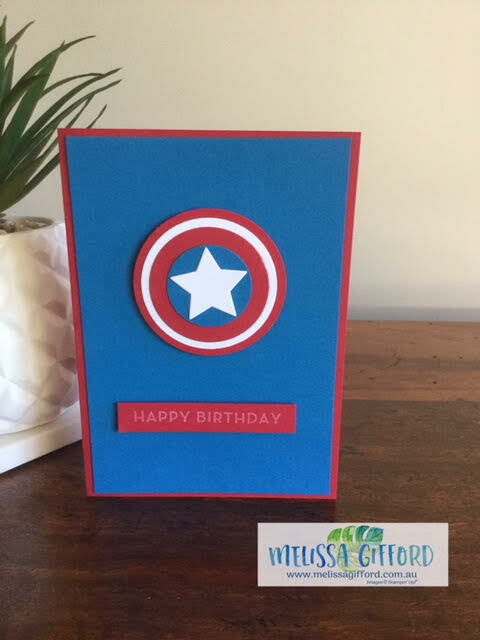 As luck would have it, last weekend was my nephew's 5th birthday and his birthday request was for anything Captain America from the Avengers. This seemed luck such a perfect fit with the superhero theme and also the red, white and blue colours. So after purchasing his gift - some awesome Captain America Lego - I set myself a task of making a matching card. Simplest punch art card ever! I grabbed all my circle punches, red, blue and white cardstock and a small star die from the Wood Crate framelits. I punched out the various colours and layered them all together. Then I added a small strip of real red cardstock stamped with the Happy Birthday sentiment in white ink. More layers of colour for the base and I was done! Such a quick but effective card with minimal stamping but wow impact! Click through to see the rest of the fabulous creations on this extra special blog hop.